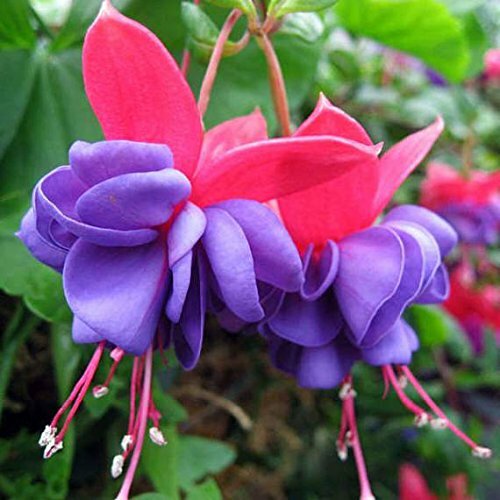 Romantic vibrant-colored fuchsia blossoms dangle from pots and hanging baskets, or drape beautifully over the soil in a garden. Fuchsia is a prolific bloomer all summer. 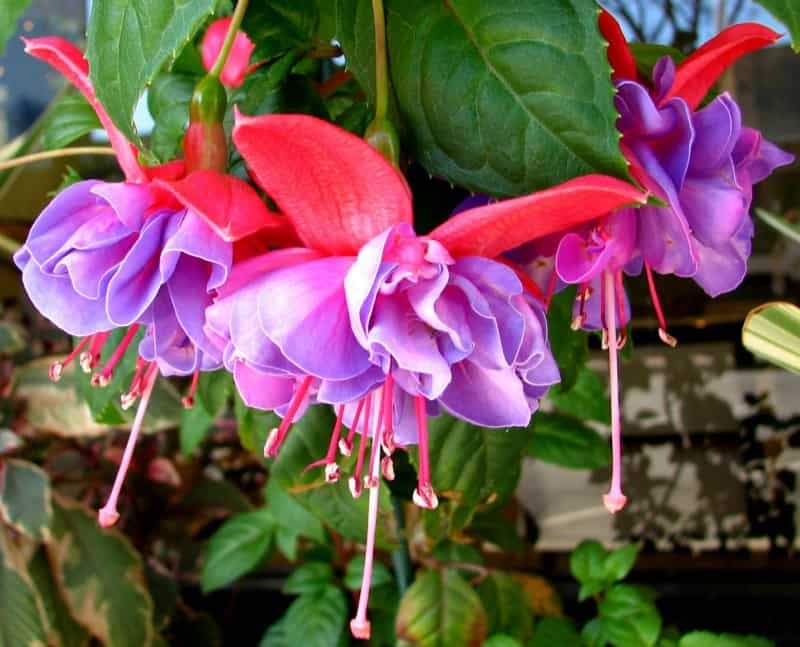 Here are some tips for growing fuchsia plants in your garden and in containers. 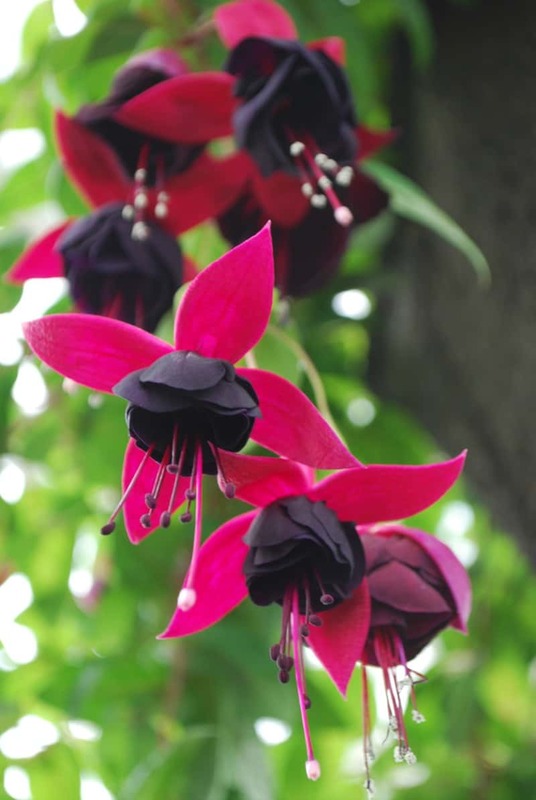 Fuchsia is named after Leonard Fuchs, a German doctor who lived in the early 1500’s. Almost all the varieties we know today come from South and Central America, New Zealand, and Tahiti. Originally, nearly 100 varieties were known, but they have been hybridized so much that today there are countless varieties. We still cultivate many varieties as indoor plants, and one of them is so hardy that it can winter in the open in the south. 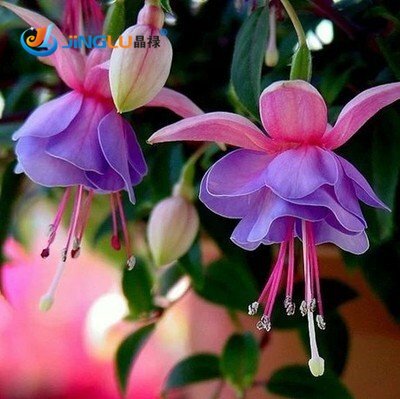 Most of the cultivated Fuchsia varieties are hybrids which may be low, rather droopy flowering plants, semi-tall trees or shrub-like plants. People often prop them up to allow the beautiful flowers to hang freely from the leaf crown that radiates from a slender stem. Live Plants: Fuchsia Blue Eyes One of the standards that never gets old! 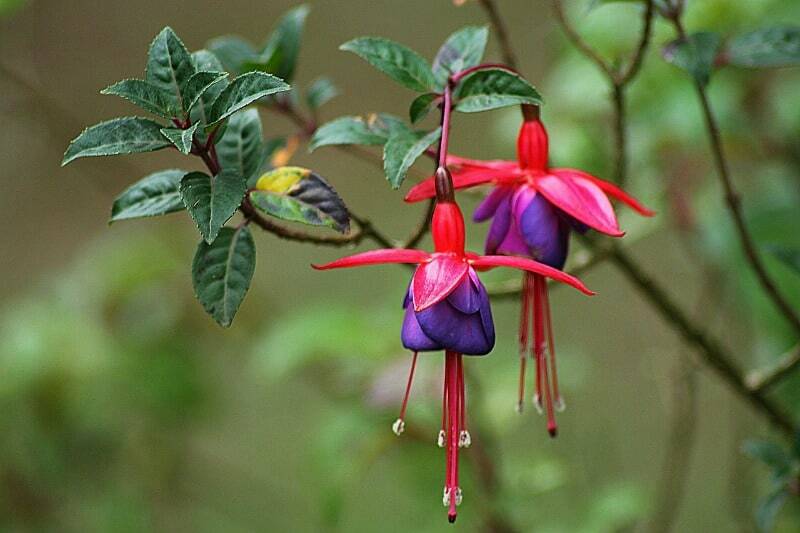 Hummingbird Fuchsia – hardy Magellanica fuchsia – live plant. Fuchsia Lena, One of the standards that never gets old! Live plants. The eye-catching colorfulness of the flowers is due to the fact that the sepals, leaf lobes and petals, are all richly colored. Fuchsias are the most beautiful when kept in rather cool conditions in half shade. Too much warmth and sunshine leads to rapid flower loss and severe evaporation from leaves and stems. Always make sure that plant gets the water it needs in the growth period. All varieties require special care, but they will reward all effort by forming lovely new tips of their stems. February – Plants which have wintered can now be given more water to get growth started. However, don’t feed yet. March and April – When growth resumes, start shaping the plant by pinching back. At this time of the year use the pinched off materials as cuttings, but beware of rot. Increase feeding gradually. 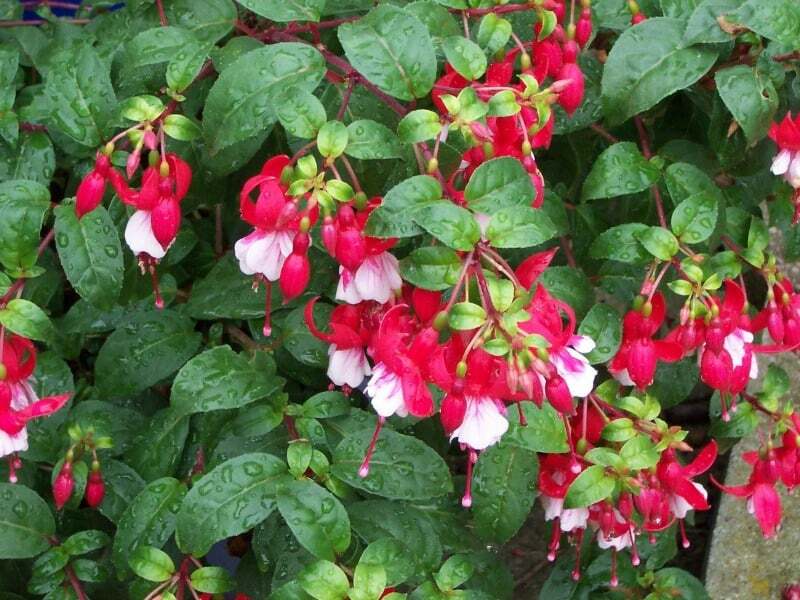 May and June – Fuchsia plants destined for the garden or the balcony should be re-potted or planted out. Be careful of night time temperatures: these plants cannot tolerate frost. 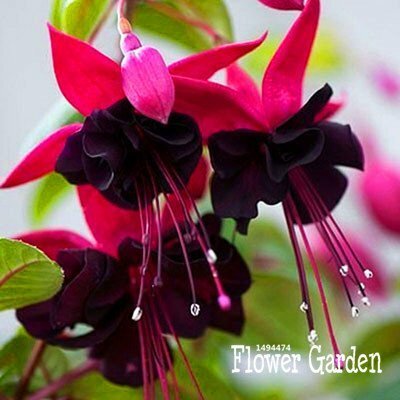 July and August – Most Fuchsia varieties are now in full bloom. Withered flowers should be removed to avoid seeding. Check for aphids. Cut off woody shoots and put them under glass or plastic for new plants. September and October – Prepare these plants for winter. Plants that have been standing outdoors should be brought in and cleaned up. Remove all the yellow leaves, and cut off the last of the flowers if they aren’t fresh. Clean off aphids or white flies from foliage, making sure to remove any eggs. November, December & January – Put all your indoor varieties in a cool, dry spot. They need rest during this period. Winter grooming can be carried out as plants break dormancy. Most Fuchsia varieties need pruning to keep them in a nice shape. Otherwise, since growth is naturally bushy they may turn out leggy. However, it is easy to propagate the Fuchsia by pinching back ungainly shoots throughout the summer. If you forget to do ti during the summer months, you can prune them in the winter as well. To create a plant with a tall stem, just remove all the side shoots and branches until the desired trunk height is achieved. 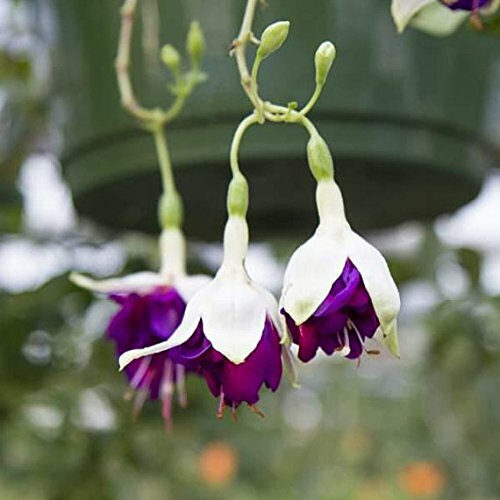 The hanging varieties in particular are very attractive as tall stemmed plants. Now pinch back the crown by removing unwanted shoots throughout the summer (or, by winter pruning) to ensure the desired bush shape. Tying can prove as important as pruning. Many of these plants flower so profusely that the stems are almost overwhelmed. Pruning doesn’t help in such cases, but a stick to support in this period is often indispensable. If the leaves drop during the summer growth period, the plant’s location is to dark or too warm. Leaf drop in the winter – A certain amount of leaf drop is natural, but if the branches become almost denuded, the plant is too dark, or getting too much water. Water very sparingly in this period. Aphids – Green insects on the undersides of leaves which become sticky. Quarantine the plant and spray with insecticides. Whitefly – These are small white insects that fly up from the plant when the leaves are touched. Quarantine the plant and spray with insecticide according to label. 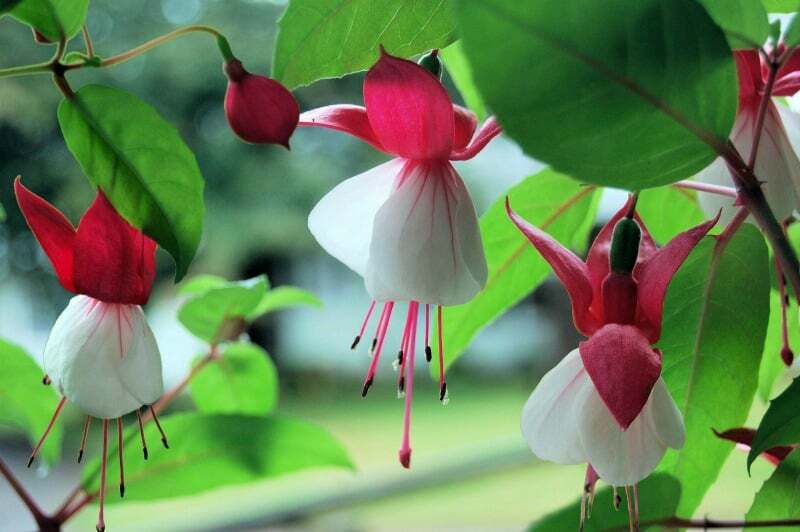 Fuchsia plants are usually purchased in spring, before the flowers burst forth from their buds. Make sure all parts are fresh and juicy. Check for pests, and make sure that the stems of any flowers that may have bloomed are not flaccid. Fuchsias can last for years if given a period of stable conditions before planting or placing them among other plants. 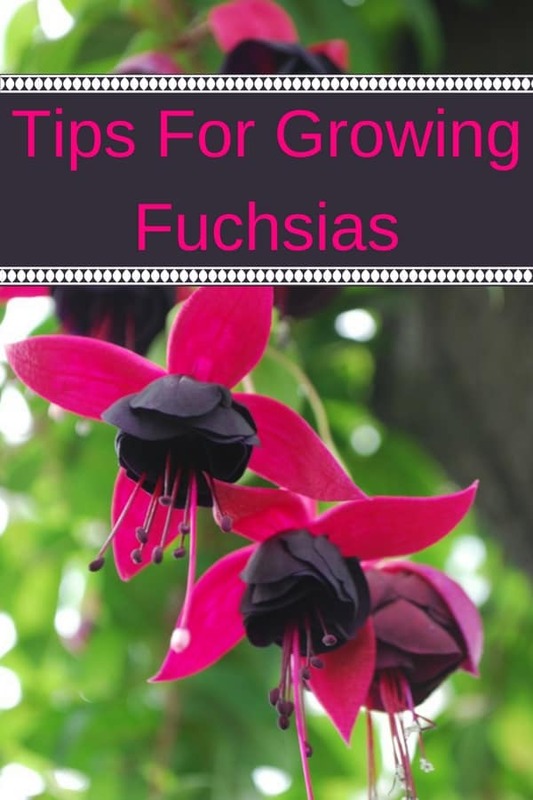 Growing fuchsia plants of a lot of fun: they bloom from May through September, and are easy to grow as long as they are given light, a cool spot and are shielded from blazing sunshine. 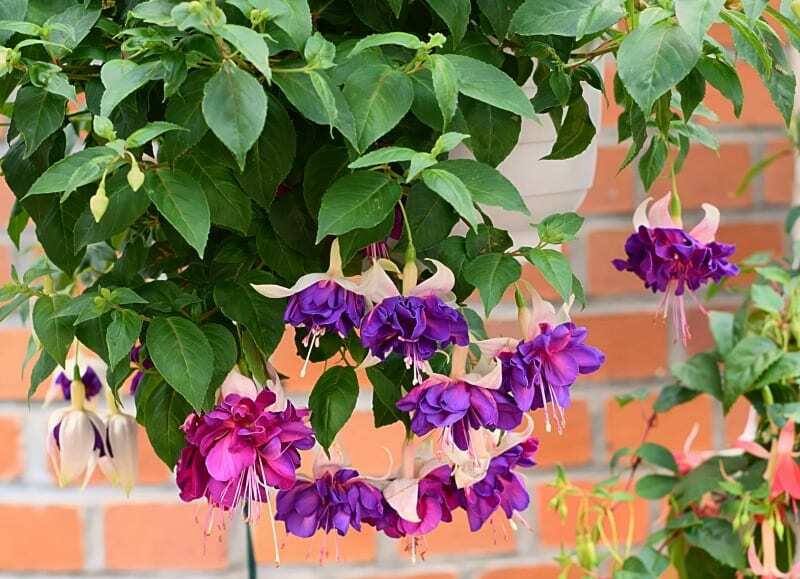 Beautiful fuchsia blossoms in a hanging basket. Perfect for your porch, in your front yard, by your door, or anywhere else you want a splash of color! Such a delicate balance between the red and white petals! CAn’t help but smile looking at these. Stunning! I love the black center of these pretty pink fuchsias. Mother nature at its best. The colors are so beautiful together! 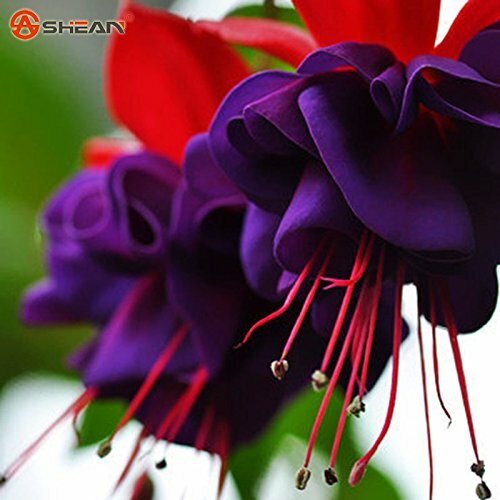 Filled with blooms, this fuchsia bush is the perfect addition to your front yard garden. 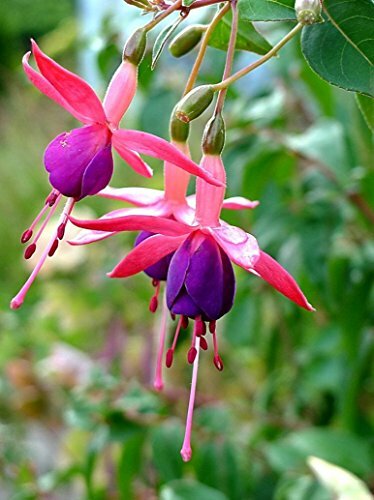 Want to try your had at starting fuchsia plants form seed? Here are some collections for seeds form Amazon.